website | True Endeavors Presents: music, tours, tickets, mp3 downloads, concert pictures, videos, Madison WI. We recently stumbled upon this glorious site called Cassette From My Ex, and we’re beyond addicted. 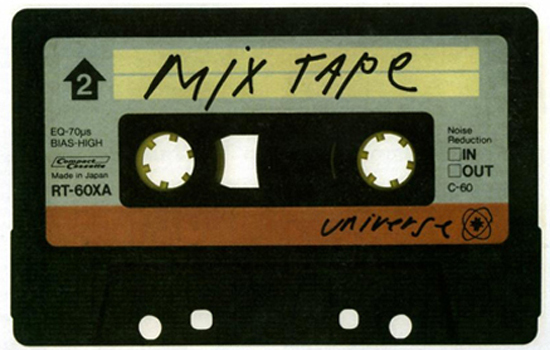 First of all, let’s be honest, there’s just not much better than a great mix tape–whether you’re on the giving or receiving end of things. As far as fun gifts go, there’s not much that can top it for a music lover, and who doesn’t love pouring over their music collection to find those perfect few dozen songs that say what your lips can’t? This site tells the stories of lost loves hidden behind Sides A & B, and shares some pretty rad mixes as well. Get ready to lose several hours of your life to these fascinating, sweet and deeply personal accounts. While you’re thinking about it, feel free to leave a comment below with a great mix tape-related story from your own life. How cool is this?! Sen. Russ Feingold is looking for YOUR musical recommendations! Submit your ideas for songs to be included in his “Fein” Tunes playlist here.